On 22nd February 2016 at 7.20 pm we will have the Full Moon in Virgo, precisely at 3°34 Virgo. 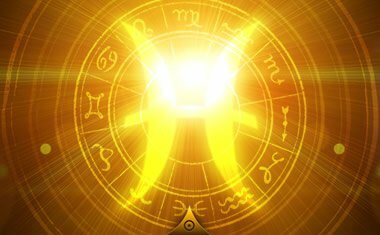 In traditional astrology the House – or field of experience – associated to Virgo relates to health, daily life, the body, service and practical skills. 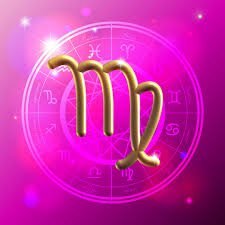 We know Virgo as an Earth sign and for her dedicated attention to details and precision. From the esoteric point of view, Virgo, which in the colour language is associated to Olive green, rules the process of integration between the Personality and the Soul and the building of what we call the rainbow bridge between these two aspects of the self. In the Aura-Soma® colour language, we know that Olive green is the bridge between the Yellow of the Solar plexus, the chakra related to power and control, often associated to the little self, and the Green of the Heart chakra, which is associated to the opening of the heart, the panoramic awareness and the quality of synchronicity (being in the right place at the right time, doing the right thing). When we have a Full Moon, the Sun and the Moon are opposite to each other; this is why the moon is so bright and we can fully experience her light. So, when the Moon is in Virgo, it means the sun is in its opposite sign, Pisces, which is associated to the colour Magenta. Pisces, in esoteric astrology, relates to the possibility of death of the personality in order to be able to see through the veil that the personality is putting in front of us, which does not allow us to see ourselves as we truly are. It is the sign of the crucifixion, but not in a negative way, but as a possibility of the rising of the Christ consciousness, the Soul Consciousness within us. The magenta carries the qualities of our Soul Star, the sense of feeling loved by existence, the sense of being cared for and gratefulness. This opposition talks about a need for a balance between the true Heart (Pisces) and the Head (Virgo). It means the veil that we hold in front of ourselves is going to be lifted and we will experience a sort of a catharsis at the lunar peak: our beliefs will be dissolved and we will feel the urge to take practical action in order to change our lives. Virgo is about the service to the world, so we will start asking ourselves whether we are truly following our soul purpose and pondering on what really give us passion, because the purpose of this full moon is to inspire us to work with our true inner passion, the soul passion, what the soul has come here for. The Moon is the esoteric ruler of Virgo, reminding us that the will of Spirit is to manifest itself in the form, while Mercury, the intermediary between Spirit and Matter, the messenger of the Gods, the builder of the rainbow bridge mentioned above, is the traditional ruler of Virgo. This means that if we are open to receive the energy flowing through this sign – not to suffer it – with acceptance at this point in time, we will understand that no truth is complete without its opposite and everything that flows between the two. If a crisis manifested by the Virgo is accepted, processed and digested, there will be a redefinition of purpose and the soul will be guiding our action. 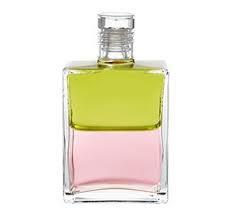 In the Aura-Soma colour-care system the bottle that expresses the relationship between Olive (Virgo) and Magenta (Pisces) is bottle 99, Archangel Tzadkiel / Cosmic Rabbits, traditionally described as Pale Olive Green / Pink. Not many people know that in one of his Academy seminars Mike Booth, principal of the Aura-Soma LTD, described this pink truly as a pale magenta. The pale form of the two colours in this archangel bottle reflects the possibility of the light, which is the expression of consciousness, to come through us and release the karmic patterns of the Personality on many levels. The reason because we take into consideration the magenta in the lower part of the bottle is because in the Aura-Soma Equilibrium bottles the lower fraction is the Soul ray, the Sun in esoteric astrology, while the upper fraction is the personality ray, the Moon, the Olive in this instance. Archangel Tzadkiel’s message reflects the energy triggered at this Full Moon: A new opening to love of self illuminates our purpose in the world. Using this bottle at this point in time can support our connection to our inner being by trusting the leadership of the heart of unconditional love and self-acceptance and thus, the possibility of opening to a new vision of Self as Soul. There is no separation – it exist only in our mind. Matter, which is represented by Virgo, has to reveal its hidden spiritual nature. In The Secret Doctrine written by Madame Blavatsky, is a clear statement of the whole message of this sign: “Matter is the vehicle for the mani-festation of soul on this turn of the spiral; and soul is the vehicle on a higher turn of the spiral for the manifestation of spirit, and these three are a trinity synthe-sized by Life which pervades them all”.